Each map puzzle from this Shure's 2 puzzles set of the US Map and World Map contains 24 colorfully hand painted and laminated wooden jigsaw pieces. 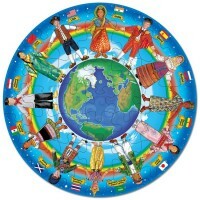 Learning about the world can be real fun! 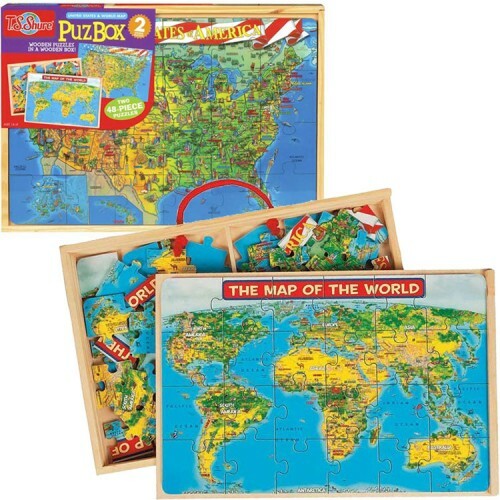 With the USA Map & World Map 2 Puzzles Set in a Box by T.S. 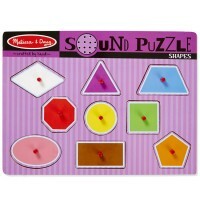 Shure your children will learn about the countries, cities, US states, and important landmarks. 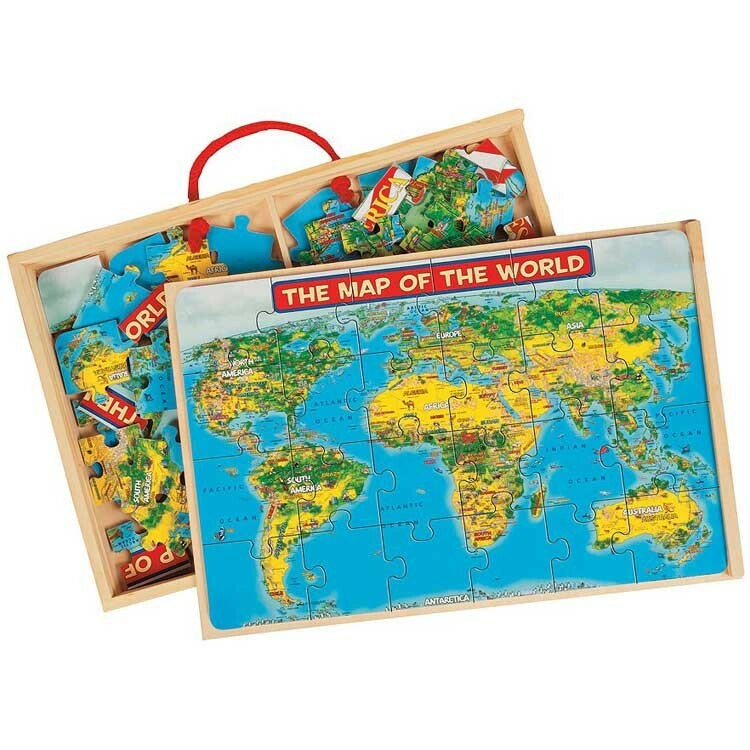 This two learning puzzles set features a map of the USA puzzle and a map of the world puzzle. 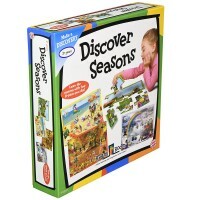 Each map puzzle contains of 24 colorfully hand painted and laminated wooden jigsaw pieces. 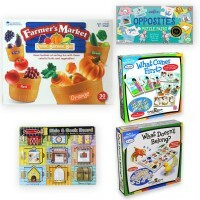 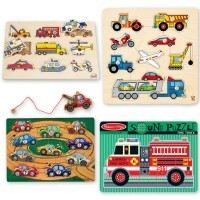 Both of these kids map puzzles can be safely stored in the sturdy wooden box. 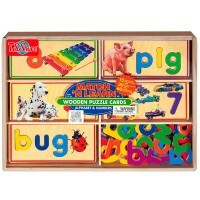 The sliding wooden lid of the box can also be used as a helpful puzzle board. 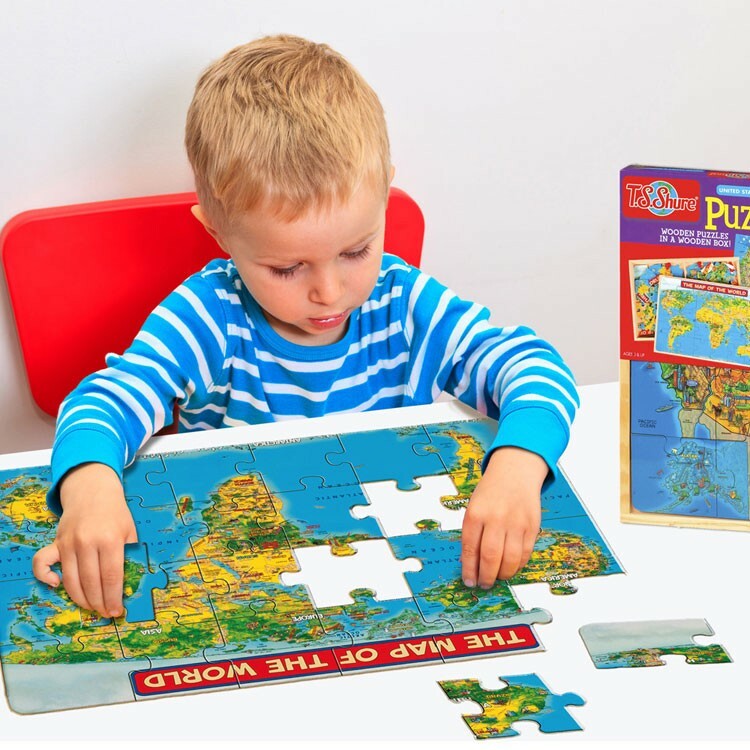 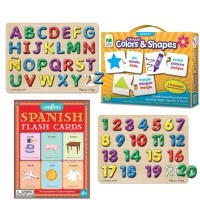 Your child can start from assembling the map puzzles looking at the labels on the back of each piece or try to do it all by himself finding the right place for each map puzzle piece. 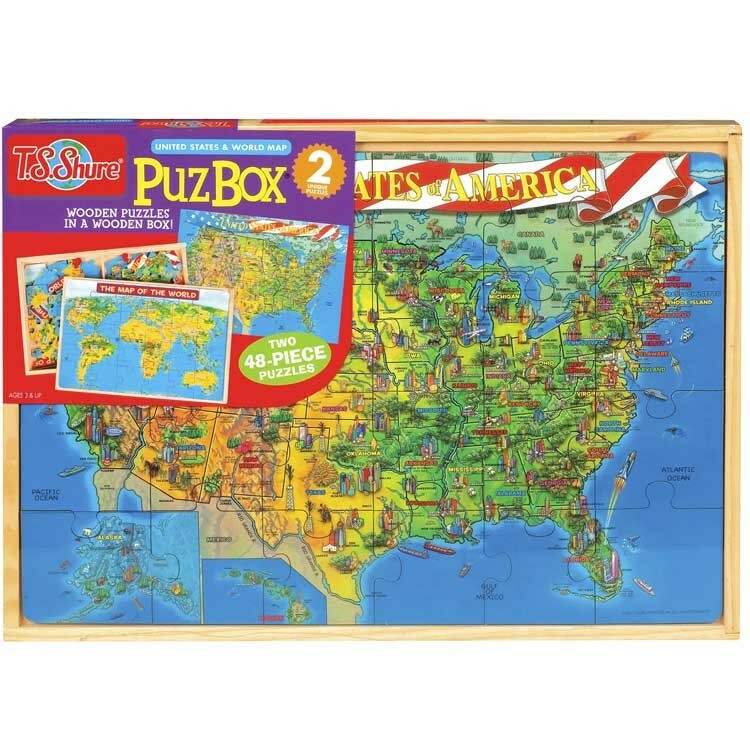 The USA Map & World Map 2 Puzzles Set in a Box from Educational Toys Planet is an excellent geography learning toy for home or school. 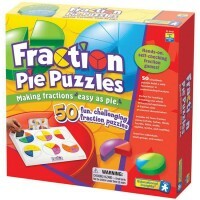 Dimensions of package 14" x 9" x 1.5"
Write your own review of USA Map & World Map 2 Puzzles Set in a Box.